If the winds subside anytime soon, here is a tip for all the vegetable gardeners. The soil moisture is perfect due to the recent rain and cool weather. If you intend to use black plastic to cover your rows, get your boots on and lay that plastic. You do need to let the winds subside or you’ll be flying a kite instead. On another note, the Monday morning brain teasers will be taking a spring-summer hiatus. I’m taking Mark Twain’s advice. “If you hold a cat by the tail you learn things you cannot learn any other way.” Hopefully the daily blogs and tips inspire you to get out there in the garden and learn it first-hand. I appreciate all my readers and encourage you to post your comments and questions to make the blogs and daily tips what you want to hear about. As always, the true or false answers are in tomorrow’s blog, ‘Tuesdays with Annie.’ Have no fear, I’ll still be writing regularly. Just taking a miss on the quiz show until the winter! Happy Monday. Annie. 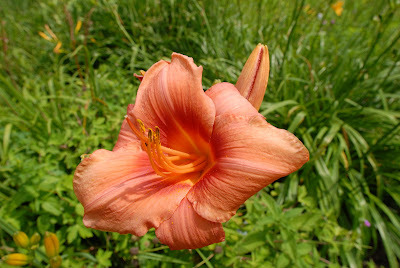 2) The blossom on a daylily lasts one day, hence its name. 3) If you grow strawberries, last-season frost can damage a crop. 4) Exposed topsoil is subject to erosion and deterioration. 5) Green manure is fresh manure spread on a garden in the fall.